We have gathered 7 simple tips for you to save on your monthly water bills. Explore the ways in which you can cut your monthly expenses whilst contributing to conservation efforts! In order to prevent unnecessary waste, look for household leaks and repair them immediately. 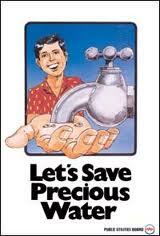 An average household wastes up to 30,000 liters of water every year due to household leaks. Water-saving showerheads can slash water consumption 50 to 70%. Given that an average shower uses as much as 80 liters of water, low-flow showerheads can save you 40 to 56 liters each shower. This can result in an annual saving of 17,520 litters. Showering is one of the leading ways we use water in the home. You can easily limit your water usage if you shorten your showering time. With a low-flow showerhead you’ll use around 9-10 liters every minute. Keep your showers under 5 minutes, and always remember to turn off the tap while applying soap, washing your hair, or shaving your legs. When you brush your teeth, turn the tap off. 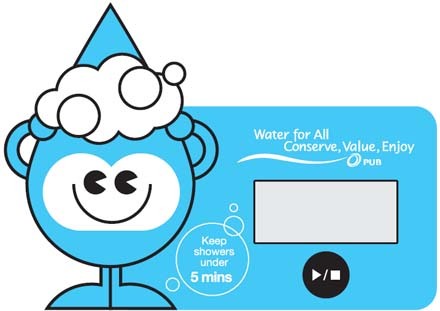 A running tap wastes over 6 litres per minute! About 10% of household water is used in toilets. There is a significant difference in water consumption between full flush and half flush. The former one uses around 10 litres each time, while the latter accounts only for 4 liters. In order to curb water consumption even further, consider changing your toilet flapper every year. Toilet flappers tend to break down rather quickly, and it is recommended to replace them once a year. Always wait for a full load of laundry before you start your washing machine. A full load will always use less water and energy than multiple, smaller loads. Moreover, choosing a water-efficient washing machine can help you save up to 40 liters a wash. If you aren’t able to acquire a more efficient washing machine, familiarise yourself with your existing washing machine’s cycle options. Some cycles use less water and elecricity. Instead of washing your fruits and veggies under a running tap, put them into a container or a bowl and wash them there. Want to save even more? Use your water leftovers to water your houseplants.